Jambo Journal – Day #1, Sunday, July 25, 2010 – Departure. We embarked on our 12-hour ride at 9:30 Sunday night, thirty minutes past our scheduled departure time. The kids didn’t mind. Their parents didn’t mind. The weather was perfect for picture taking. The whole scene reminded me of one of those old movies – you know the kind I speak of – when it seems like the entire community comes to celebrate the debarking from port of some fabled steam liner. Fortunately, the preliminary forecast did not indicate any likelihood of icebergs roaming the interstates between Rochester and Fort A.P. Hill. Heat Advisories? Well, that’s another thing altogether. (Ah, he signed, yet again waxing reflective on a youth lost to the rigors of responsibility.) But, back to the real story. It’s amazing what you learn when you’re aboard a 60 passenger vehicle with a seat that doesn’t recline so you can’t easily fall asleep. It turns out these pubescent outdoorsmen can have well-thought out and philosophically meaningful conversations (that don’t involve video games). Or perhaps we can lay the blame for this maturity on the fact the DVD kept repeatedly freezing after 15 minutes of uninterrupted play. And there was no fast-forward button. It was like we were watching Bill Murray’s Ground Hog Day. Except we weren’t. After the third try, everyone tacitly agreed to move on to other things – like cell phones that can connect to the internet. 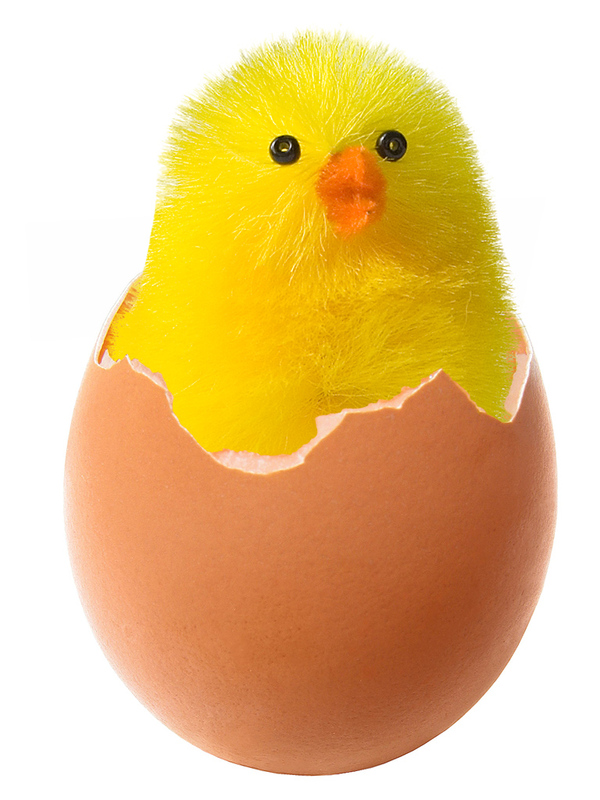 And so the age-old argument began – “What came first? The chicken or the egg?” A manly debate ensued before someone had the bright idea to ask a thing called “Cha Cha.” I have no idea what that “Cha Cha” is, but every parent should get one – it’s apparently the only authority teenagers listen to. Anyways, there was this tense silence as the boys awaited the answer from this techno-age mystic. After a suitably pregnant pause, they received the response. Cha Cha declared the Egg came before the Chicken. I sat in my unreclining seat, considering the wisdom of Cha Cha. “Of course,” I mumbled audibly (but thankfully with such muted breath no one could hear me). It had to be the Egg. If the Chicken is an evolutionary descendent of some earlier egg laying creature, then the mutation required to create a chicken had to occur while the chicken was an embryo inside the Egg. Therefore, it’s obvious – the Egg must have come before the Chicken. Almost simultaneously, I discovered the cooler in the seat behind had been positioned in such a way as to prevent my seat from reclining. I celebrated first by using the remarkably clean (remember, this was a bus-full of active boys) restroom in the rear of the bus and then victoriously realigned the cooler so as to allow me to rest back and (hopefully) sleep. I hopped around into my window seat, tugged the lever and pushed back. So I yanked at the lever and used the full leverage of my legs to thrust backward. I spent the rest of the evening watching the nearly full moon illuminate the fog in the Pennsylvania valleys beneath us. Stay Tuned for Tomorrow’s Exciting Journal Entry: How Could Something So Terribly Wrong Turn Out So Amazingly Right? Oh, your seat didn’t recline either? Funny thing, I called the bus company a week before going and asked a few questions that parents had asked and I didn’t know: was there WiFi on the bus(no); was there an electrical plug at each window seat(no) and did the seats recline(YES) the man told me at least happy that one thing was going to be good….hahahahaha….our seats didn’t recline either; and my bus driver said that only Grayhound has the money for reclining seats!! !